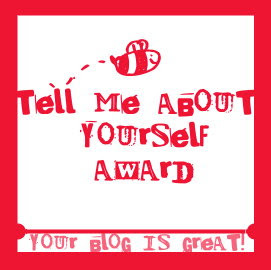 sugarmakeup: Tell Me About Youself Award! Tell Me About Youself Award! Hello gorgeous! first of all I want to apologize for not posting for a long time. Second - I want to thank Dana for giving me Tell Me About Youself Award! 15 bloggers I have choosen! Ta-dah! I tried to pick up blogs I`ve not seen received this award.